It’s not often that you see ISIS and Al-Qaeda in the same story. And they intersect in the Abedi family. Breaking news about Abedin’s family changes the early picture we have about him — dramatically. Notice the emphasis on his being British-born? That’s a deliberate half-truth. It’s exactly the kind of half-truth deliberately told for political reasons. Why? To establish a narrative that muddies the water with such terms as ‘home-grown terrorists‘ bedwetting cowards. Was HE born in the UK? Yes. 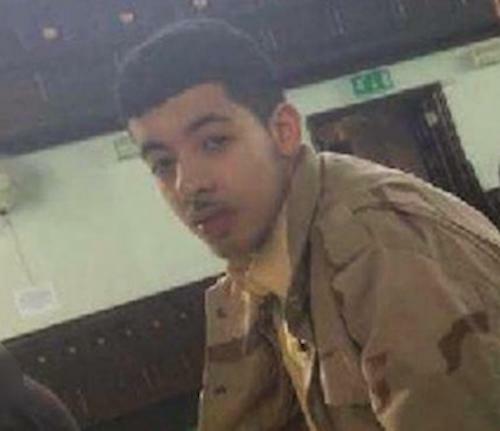 But his family were among the Libyan rebels that fled to the UK — specifically Manchester — after a failed armed COUP. They came in as refugees. …The mass-murderer – who apparently had links to the ‘Man in the Hat’ Brussels bomber – had only just returned from a three-week trip to war-torn Libya before launching his horrifying attack, friends said. That revelation came as his father, Ramadan, was arrested by masked gunmen in Tripoli this evening while recording TV interviews in the country. 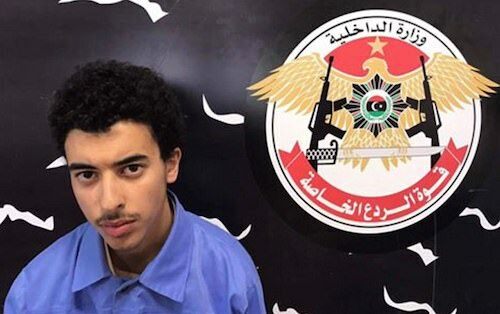 Abedi’s younger brother Hashem has also been arrested in Tripoli, Libya, on suspicion of having links to the ISIS who claimed responsibility for Monday night’s atrocity. He was ‘aware of all the details’ of his plans, a Libyan security force said. 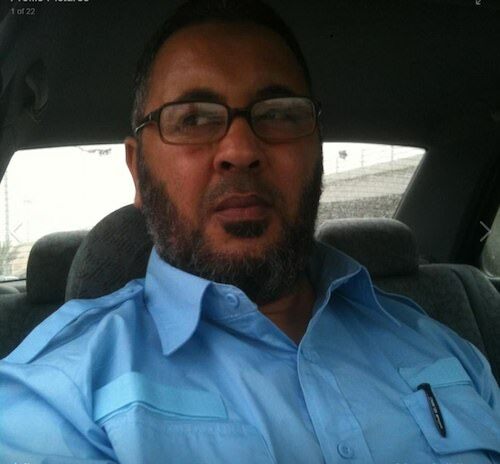 Hashem had been ‘under surveillance for a month and a half’ and ‘investigation teams supplied intelligence that he was planning a terrorist attack in the capital Tripoli’, the Deterrence Force said on its Facebook page. The family that slays together, stays together — in hell. A third relative, Abedi’s older brother Ismail, was arrested in Manchester. It is not known what his involvement, if any, was. He was once reported to a counter- terrorism unit after concerns were raised by members of the Muslim community. Last night, attention focused on how the bomber had been allowed to slip through the net. Key warnings about his descent into jihadism were apparently overlooked. Yesterday it was alleged that two calls about his conduct had been made to a police anti-terror hotline and that his family had repeatedly raised concerns he was ‘dangerous’. This family looks like a real winner! Ties to ISIS, Al-Qaeda, and the Brussels bomber? Remember that game ‘Six Degrees of Kevin Bacon‘? You could do a terrorist version with Salman Abedi. It was also claimed the university drop-out had travelled extensively in the Middle East and received terror training in Syria; and that he returned to the UK from Libya just days before the attack. As police prepared to make a number of ‘significant’ arrests last night, it emerged that detectives were probing possible links between the Manchester Arena atrocity and the Paris and Brussels terror attacks. Sources said officers are exploring whether the same cell was responsible for all three outrages. One theory is Abedi may have been part of a larger cell that included Mohamed Abrini, the ‘Man in the Hat’, with connections to the mass murders in Paris and Brussels. Abrini is known to have visited Manchester in 2015. Just a regular Brady Bunch over here. Or should I say, ‘Albedi Bunch’? Who was bringing up some jihad-loving boys. And all those trips back and forth to Libya? The other trips around the middle east? Abedi was on what one might call the President Trump’s ‘Travel Ban Tour’ — he traveled extensively in the Middle East and even went to Syria for some jihadi ‘education’. What did the authorities think of that? You know how we’re told that we need to report ‘suspicious activity’? Last night security services faced difficult questions after a Muslim community worker said members of the public called the police anti-terrorism hotline warning about Abedi’s extreme and violent views several years ago. The unnamed worker told BBC News two people who knew Abedi at college tipped off officers after he made statements ‘supporting terrorism’ and expressing the view that ‘being a suicide bomber was OK’. 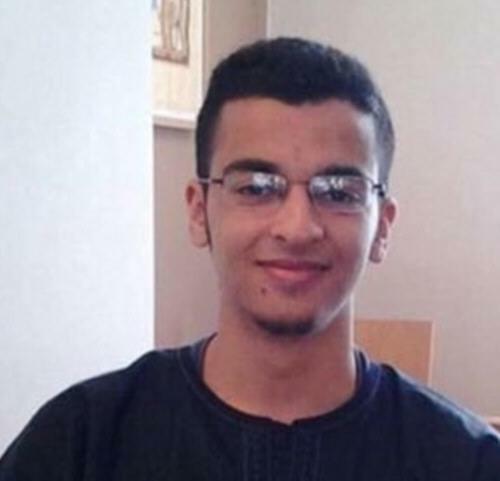 The calls are thought to have been made five years ago after Abedi left school, the worker added. An ex-neighbour of Abedi reported him to cops five years ago but nothing was done, the Sun reported. Another community leader also said Abedi was reported two years ago ‘because he thought he was involved in extremism and terrorism’. Mohammed Shafiq, chief executive of the Ramadhan Foundation, told the Telegraph: ‘People in the community expressed concerns about the way this man was behaving and reported it in the right way using the right channels. Aren’t you glad that the Abedi father and brothers are being detained and questioned? Because the evil loser that committed the Manchester attack was reported repeatedly and nothing was done. And now 22 people are dead — including children. It’s time to take these tips seriously.